Fragrance Notes: Crumpled Green Leaves, Fresh Herbs, Tagette, Star Fruit, Peony, Aquatic Floral Notes, Water Fruits, White Cedar Wood, Musky Cocktail, Amber Notes, Wet Woods. I use this product everyday and I have never in my life gotten so many compliments on a perfume as I have with this one. 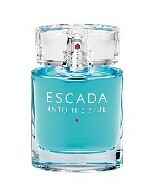 I absolutely love this fragrance and Iam so glad I found it on this website, I cannot find it anywhere else. I will continue to buy this perfume as long as I can. I have had to write the the name of this fragrance down for so many strangers because they loved the smell of it. I can wear this fragrance anytime day or evening, not too loud, just right in all the ways that matter. I just splash 2-3 squirts and tap wrist together then tap on my neck and aroun clothing and it last through out the whole day. As the day goes on it softens downs to a lighter smell more Aquatic fresh like.